To view our 2019 ad rates and perks, please go here. To purchase ad space, complete this form. 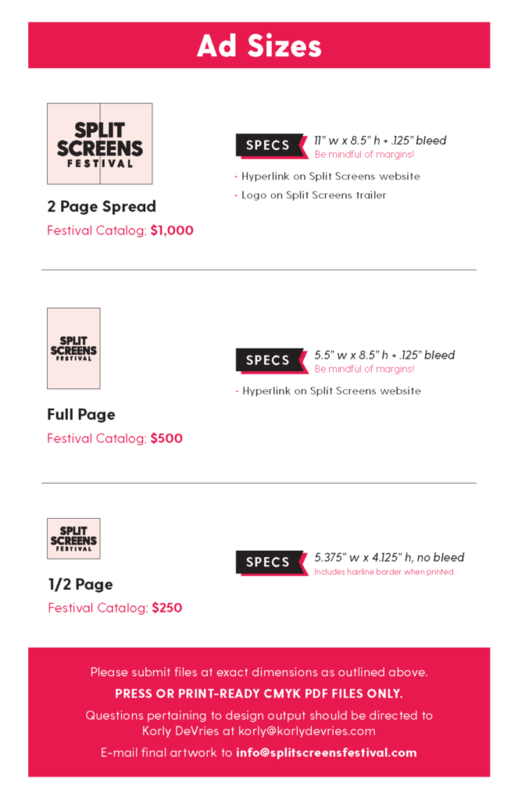 For more information on advertising, please email info@splitscreensfestival.com. 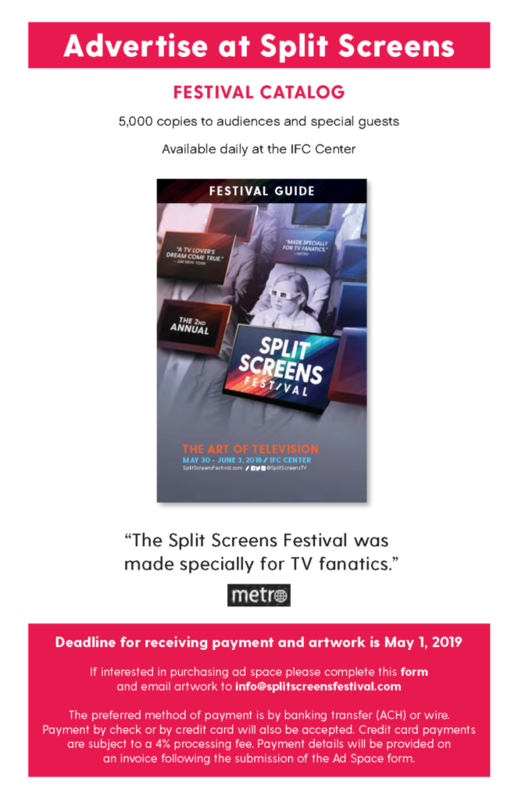 The final deadline to purchase an ad is May 1.